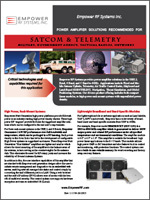 Empower has fielded a number of leading edge, "Best in Class" power amplifiers for command and control communications for the warfighter, civilian and homeland network applications. These multi-band, multi-mission, highly integrated amplifiers are designed for software-defined radios in manpack, vehicular and fixed site configurations. 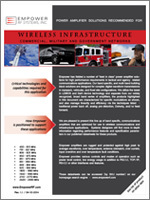 Empower has a versatile amplifier product line specific to the demanding digital waveforms and modulations required in today's RF communications networks. 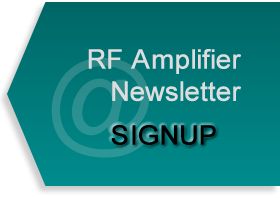 Empower has developed the amplifier technologies to provide linear, broadband and efficient amplifiers with an emphasis on SWAP (Size, Weight and Power) reduction. 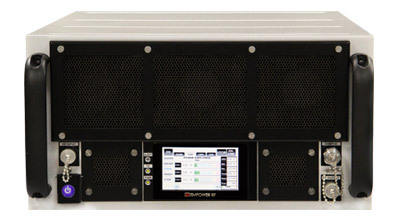 Empower uses the latest in RF device technology in addition to linearization, filtering and distortion reduction techniques providing amplifiers compatible for legacy and emerging tactical waveforms. 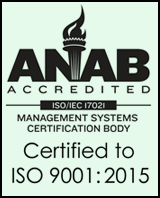 Empower is a leader in the design and development of linear power amplifiers encompassing all state of the art GaN, LDMOS, MOSFET, GaAs FET and Bipolar RF device technologies. Empower provides fast switching for Half and Full Duplex transmitters in addition to COSITE filtering interference mitigation. 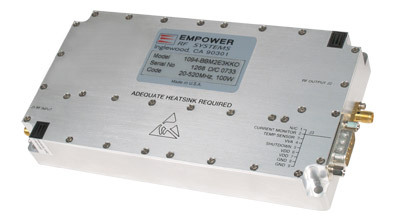 Empower amplifiers are rugged and protected against high peak to average waveforms, over temperature, antenna mismatch, over current, input overdrive and over voltage fault conditions. Empower provides various controls and modes of operation such as power level control, low energy usage in addition to RS232, TCP/IP, RS422 or other interfaces and features. The existing designs provide a solid and proven engineering foundation to work with our customers in developing custom specific power amplifiers for high density, multi channel applications. Empower amplifiers are ready to provide the power to communicate in SATCOM/LOS, DAMA/NON DAMA, 5 kHz and 25 kHz, AM/FM -VHF/UHF/L, UMTS, GSM, CDMA, FLO, COFDM and multi-media, high speed wideband waveforms and modulations. 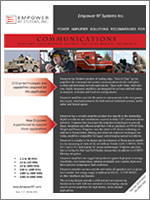 This ruggedized tactical communications 1kW, LDMOS based, high performance amplifier has guaranteed power output performance over full bandwidth, temperature and environments in a 5U chassis. The amplifier includes a built in control and monitoring system, with protection functions which preserve high availability. Remote management and diagnostics are via an embedded web server allowing network managed site status and control simply by connecting the unit's Ethernet port to a LAN. This broadband, highly linear amplifier is designed specifically for broadband, linear VHF and UHF communications. The amplifier uses push-pull LDMOS power devices providing 100 watts, high gain, low distortion and linearity over the instantaneous 20-520 MHz operating band. Performance and reliability are achieved by employing advanced broadband matching and combining networks.